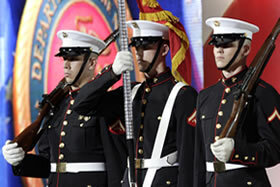 During the past 15 years, over 2.5 million United States service men and women have deployed – and redeployed – to Iraq and Afghanistan, the longest wars in America’s history. During that time, they have faced brutal asymmetrical warfare from insurgents, an enemy they rarely see. Over 6,600 Americans have died, hundreds have endured major limb amputations and nearly 300,000 have experienced traumatic brain injuries, some of which take years of therapy to overcome. On December 27, 2011, U.S. Army Captain Luis Avila was leading a search and secure mission along the Pakistani border of Afghanistan. 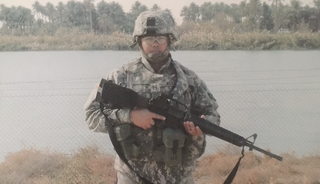 CPT Avila joined the Army in 2000, just before the September 11th terrorist attacks, and was in the midst of serving his fifth overseas deployment. On his way back to base, a 600-pound improvised explosive device detonated beneath CPT Avila’s vehicle, splitting it in half. Stunned and covered in blood, CPT Avila called out to his men, “Accountability check! Who’s hurt?” Then he lost consciousness. 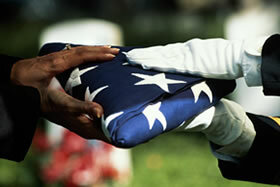 Three of CPT Avila’s fellow soldiers were killed immediately by the blast, and two others were left severely wounded. CPT Avila was rescued and eventually brought to a hospital in Germany. His diagnosis was dire; since the attack, CPT Avila had suffered two strokes and two heart attacks, and a severe lack of oxygen had caused anoxic brain damage, leaving him completely paralyzed. CPT Avila’s left leg had also been amputated. Captain Luis Avila during deployment Claudia, CPT Avila’s wife, rushed to her husband’s bedside. Some of the doctors suggested he be disconnected from life support, but Claudia resisted. Despite his comatose state, she spoke to him and comforted him. She even played music for him, believing it would help his recovery. Miraculously, after 40 days in a coma, CPT Avila woke up. Although he couldn’t see, talk or eat, he heard and responded to the music Claudia played. It was a monumental step forward, but a long road of recovery lie ahead. Day after day, CPT Avila underwent physical therapy, occupational therapy, speech therapy – and continued music therapy, which proved to be a crucial rehabilitation tool, as music helped CPT Avila speak again and provided a much-needed morale boost when he was otherwise too exhausted to move his muscles. 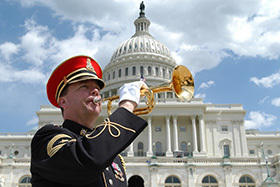 Though music for healing has been used by the military for over 70 years, beginning in World War I when professional musicians performed in veterans hospitals, it is now emerging as a cutting-edge treatment modality aiding recovery from war-related trauma including amputations, hand injuries, TBI and PTSD. The Creative Forces program provides creative arts therapies at 11 military hospitals, bases and local communities for military members, veterans, and their families. 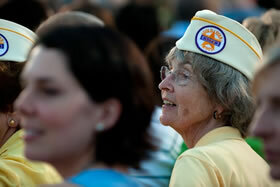 Other organizations are also helping veterans reach rehabilitation milestones through music and healing initiatives. 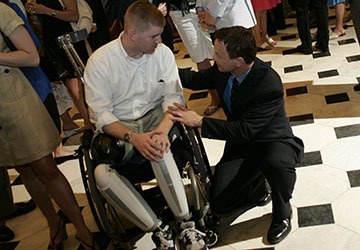 MusiCorps, formed in 2007, "is a conservatory-level music rehabilitaion program that helps wounded warriors play music and recover their lives." 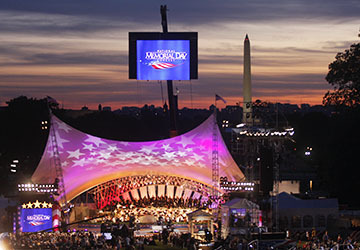 On Veterans Day in 2016, National Memorial Day Concert’s longtime co-host Gary Sinise and his R.I.S.E. 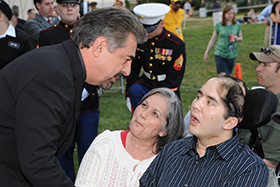 foundation presented the Avila family with a new “Smart Home,” specially adapted to suit Luis’s physical needs. In addition to modifying homes for wounded warriors, the program provides America’s heroes with adapted vehicles and mobility devices.